If you're looking for excellent service and a people-friendly approach, then you've come to the right place. At Square's Landscaping, our ultimate goal is to serve you and make your experience with us a pleasant one. Renovation of an old, tired landscape can work wonders for the value of your property and the community. 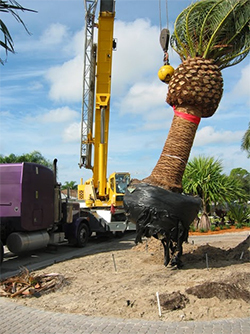 Many older landscapes have the ‘good bones’ of mature trees and palms that takes time to develop. A few new planting beds and accent plants in just the right place can be a facelift for an older home. If you run a business, a landscape update may help attract more customers; and if you're a homeowner looking to sell, our landscaping services may be just the thing to set your property apart. No matter the size of your space, we can provide landscape design and installation services that will enhance your property's curb appeal while adding to its overall value. Call today for more information or to schedule an estimate. Copyright © 2013, Square's Landscaping, Inc. All Rights Reserved.